Leander ISD has received six reports in the past two months regarding businesses and a fraudulent advertising company selling unauthorized sponsorship banners for high school athletic facilities. A business out of the Dallas-Fort Worth region, currently known as Sports Media Marketing, has targeted companies by masquerading itself as a partner with the district and its athletic booster clubs. The only official source for sponsorship or advertising solicitations is the LISD School and Community Relations department or a legitimate and registered booster club. Booster clubs are required to keep a copy of their approved registration on file, and businesses may ask to see a copy of this registration as proof of legitimacy, prior to sponsoring the booster clubs. What Does a Chamber of Commerce Do and Why Should You Join One? The best way to spread the word about your business is by making connections and that is what we do! Whether you’re new to the local community or a veteran company that has been around for decades, your reputation grows as you engage in other influential entities within your community. That’s why so many businesses choose to join a chamber of commerce. These resourceful organizations are made to help local businesses thrive. Local chambers tackle both issues and trends taking place in their community as well as offer resources and services to help local businesses succeed. It isn’t just a goodwill effort, but an effective strategy. 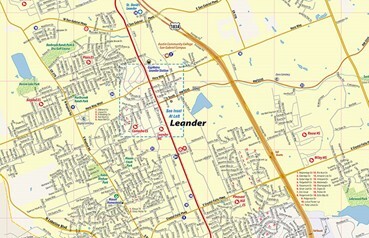 Leander was featured in Neighborhoods.com article “5 Affordable Austin Suburbs for Homebuyers”! SafeWise has released its annual “50 Safest Cities in Texas Report” for 2018. 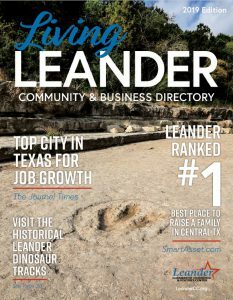 Leander ranked #50 this year! KVUE’s Christy Millweard gives us a look at the growth in Leander in their Boomtown series.